The amount of 0.45 USD has been deposited to your account. Accounts: U19558897->U4222871. Memo: API Payment. Withdraw to nelomota from sensationhour.com.. Date: 09:40 25.03.19. Batch: 252521265. The amount of 5 USD has been withdrawn from your account. Accounts: U4222871->U18265991. Memo: Shopping Cart Payment. 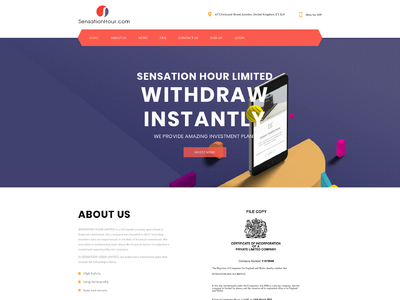 Deposit to sensationhour.com User nelomota.. Date: 10:52 27.03.19. Batch: 252832273. The amount of 1.67 USD has been deposited to your account. Accounts: U19558897->U4222871. Memo: API Payment. Withdraw to nelomota from sensationhour.com.. Date: 10:51 27.03.19. Batch: 252832061.